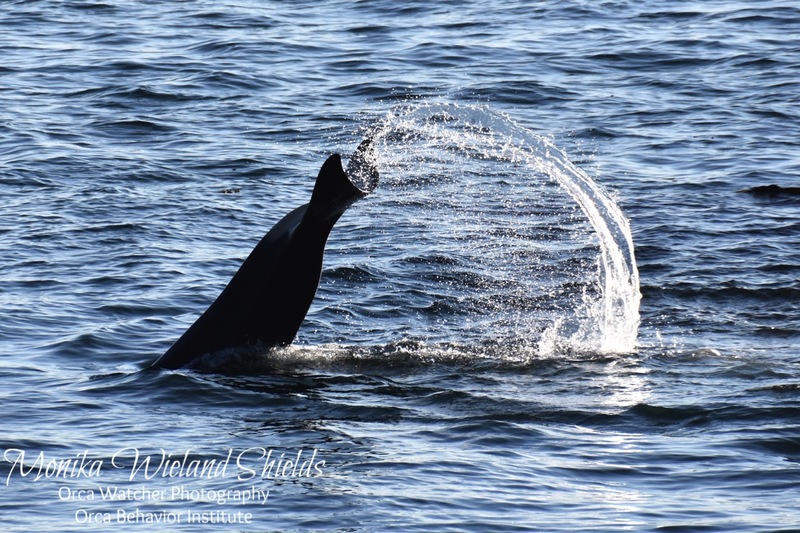 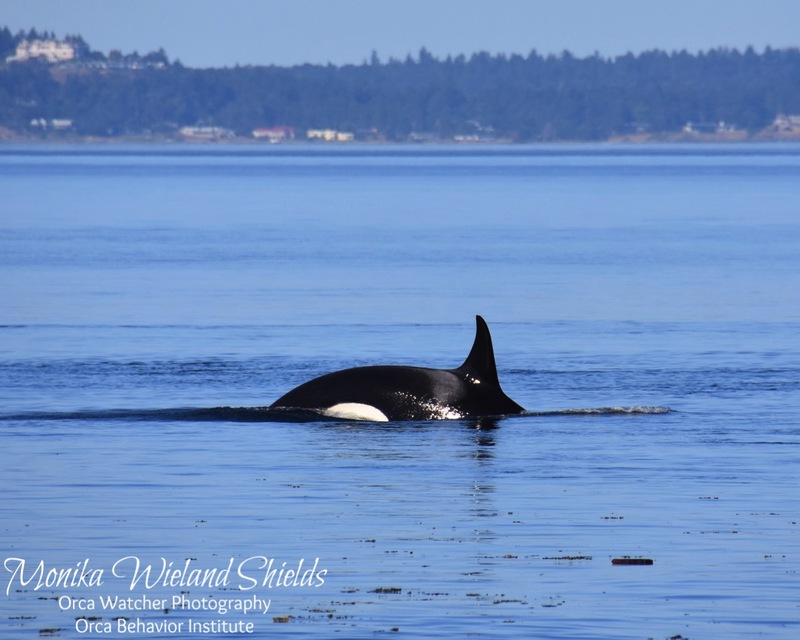 After another nearly two week absence, some of the Southern Residents returned to the Salish Sea on the morning of July 12. 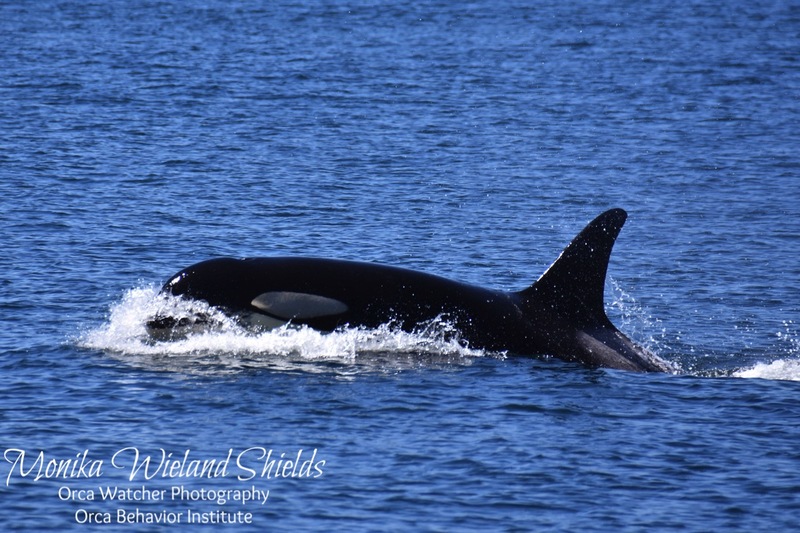 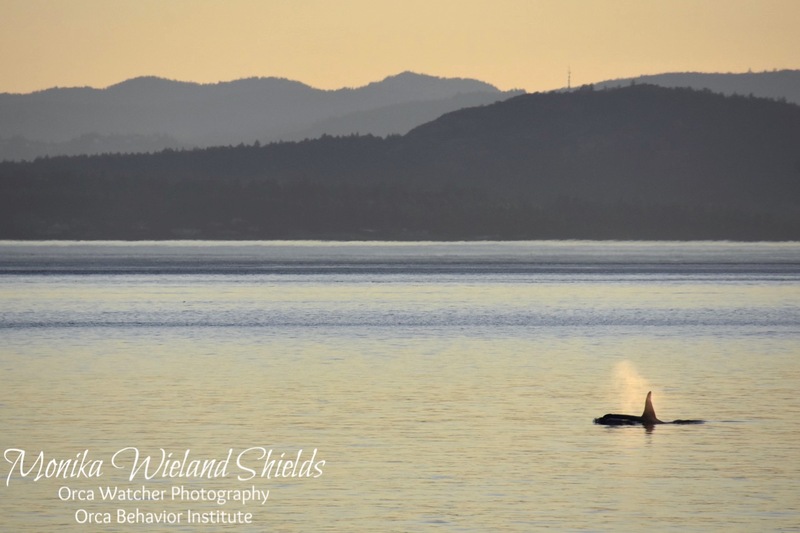 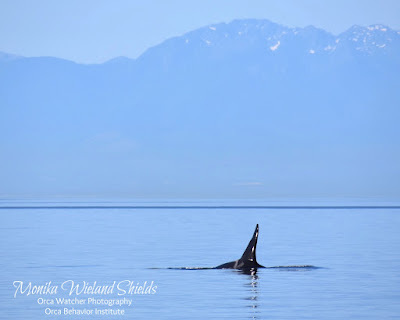 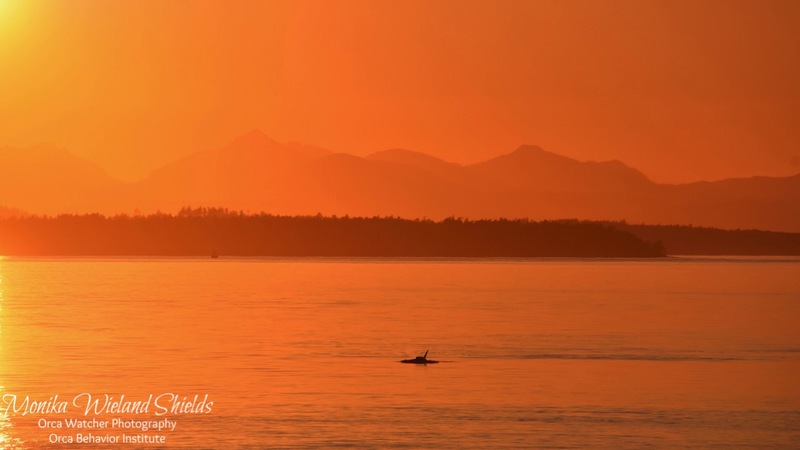 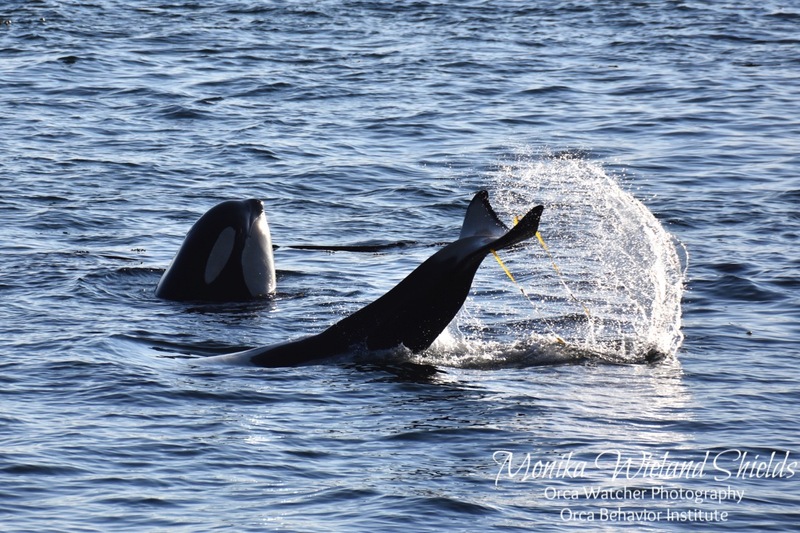 It was all of J-Pod, and this time they brought K-Pod with them for their first visit to the Salish Sea since March! 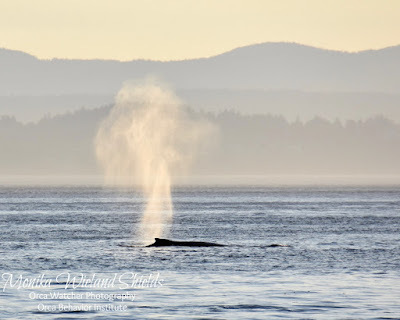 I saw a few Js in the morning head north then south off Land Bank. That evening, most of whales somewhat bizarrely headed north up San Juan Channel towards the Fraser, a route I'm not sure I've seen them take in that direction before! 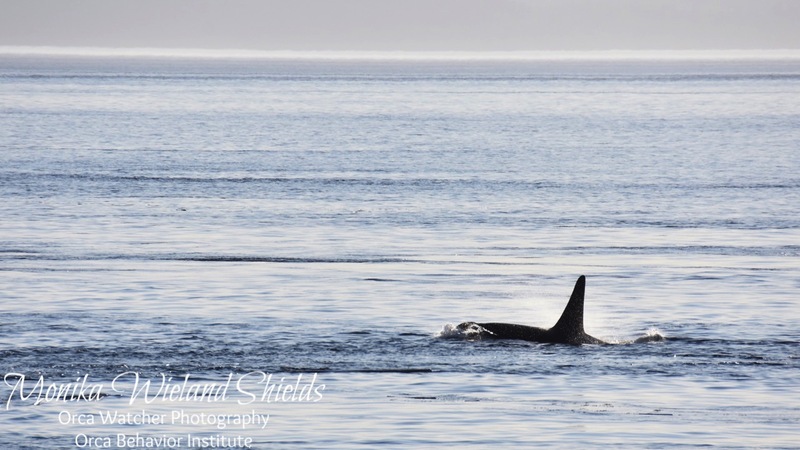 A mixture of Js and Ks stayed on the west side, but were mostly too far away to view from shore. On July 13, the whales that had stayed south snuck north in the early morning to meet the others, and over the course of 10 hours all the Js and Ks came down in three very, very spread apart groups. 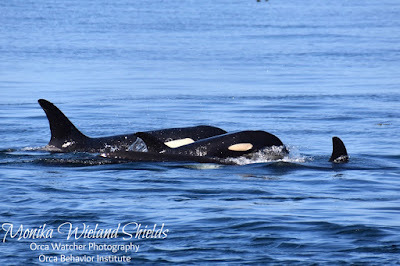 Most of the whales were in the first group which I missed, but that's okay, because the later groups were the K13s and then the K14s, which gave me a chance to get my first good look at members of K-Pod in 2018! 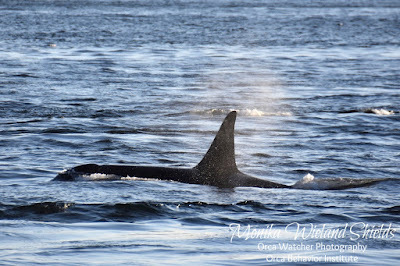 In the evening, the K14s came down, and we heard some great vocalizations from them. 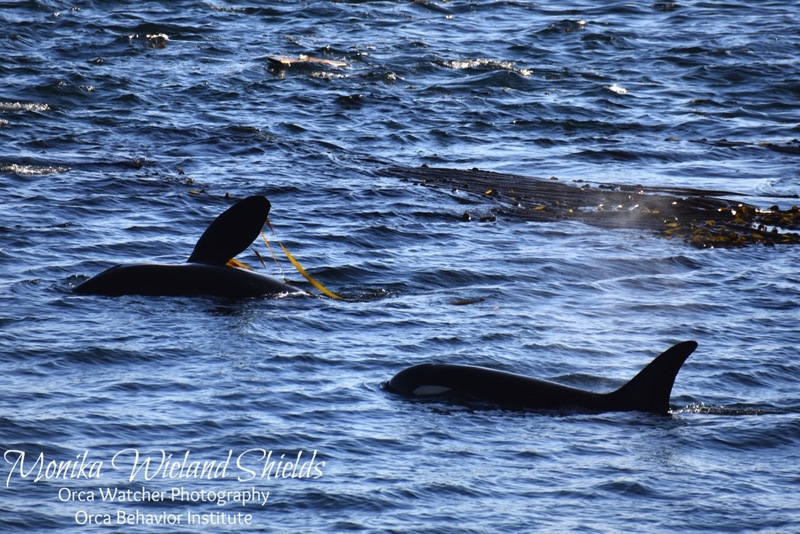 You can listen to a clip of their chatter here. 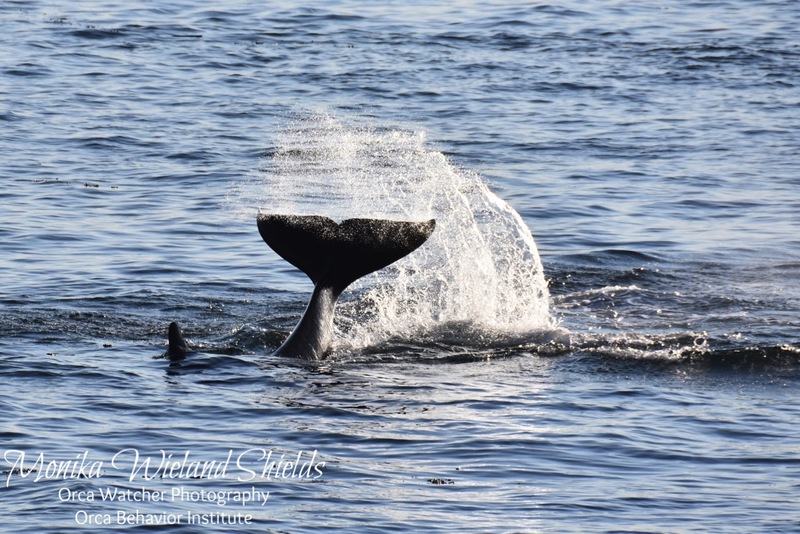 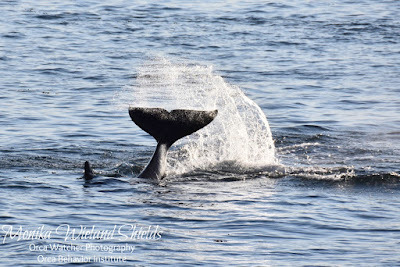 The only thing that compares to sunset whales is early morning whales, which we were lucky enough to get the very next day! When calls were heard on the hydrophones by friends of ours, we headed out to Lime Kiln, expecting to see Js and Ks again. 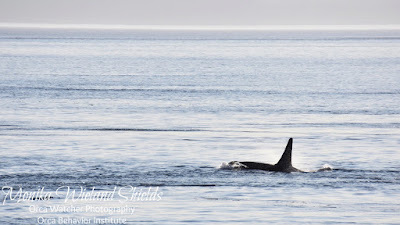 Most of them had actually headed back out west, and it turned out just the J16s and J17s had stayed! 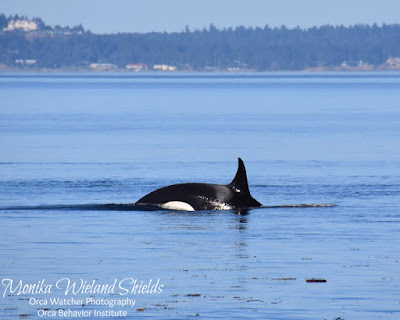 But they took their sweet time going slowly north past Lime Kiln against a strong ebb tide, so we got several hours of viewing time. 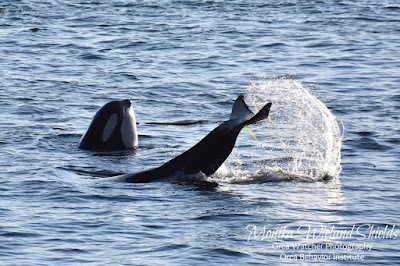 You can see a video clip I took of the J17s passing off the Lime Kiln Lighthouse here. 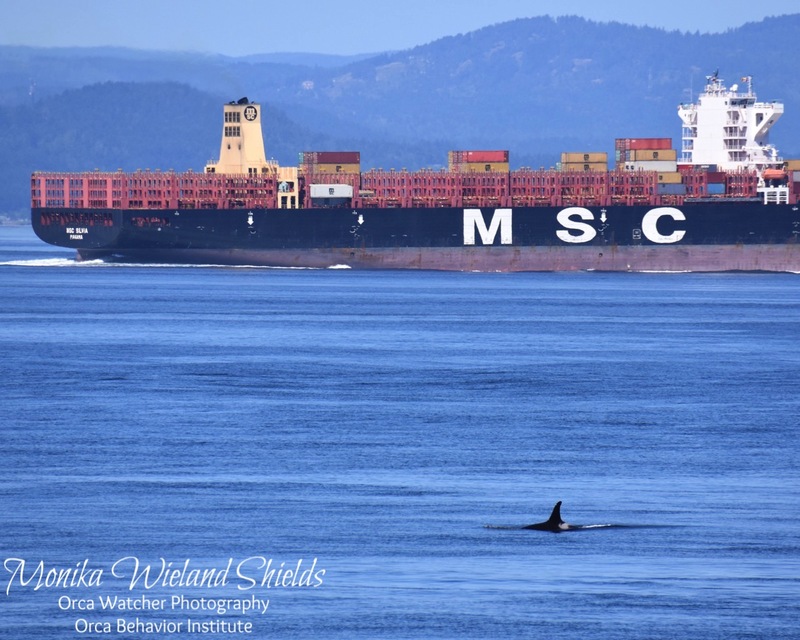 Interestingly, J46 Star was not with them. 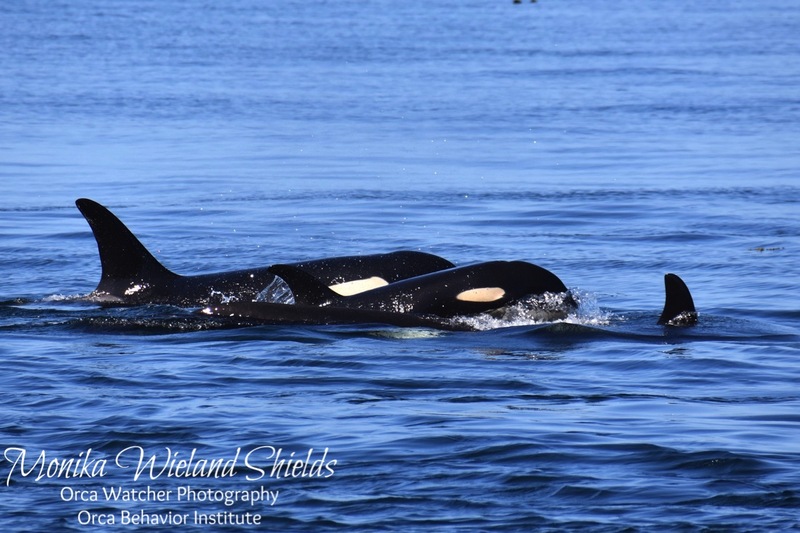 After the tragic death of her mom and little brother in 2016, she's started spending a bit less time with her closest living family in the J17s. 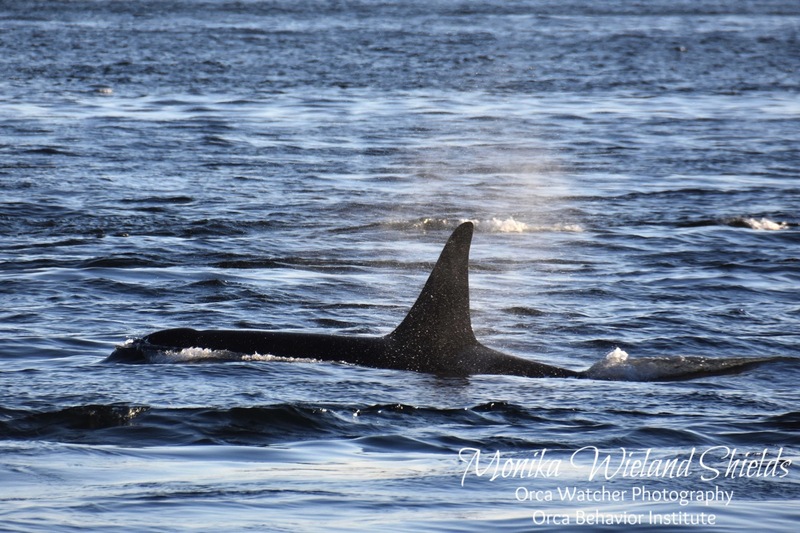 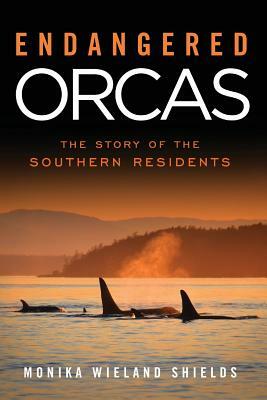 I was a little worried until other whale watchers confirmed that she did indeed go west with the rest of J-Pod! 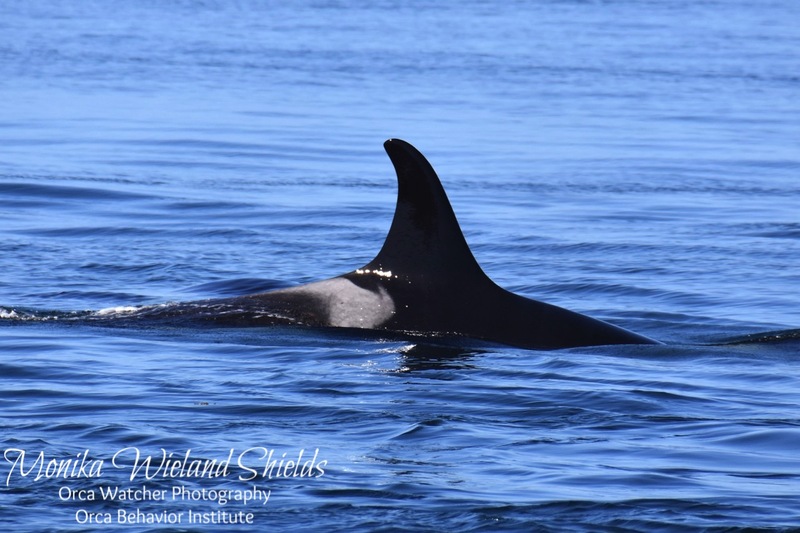 She has been spending a lot of time with J31 Tsuchi and J40 Suttles, two other young females who have lost their mothers, a fact which really pulls at the heart strings! 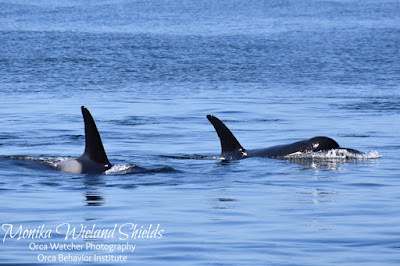 After spending the day up north on the 16th, the J16s and J17s were back to doing the west side shuffle on July 17th. 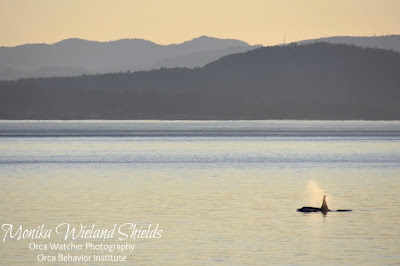 When in the evening I heard that they had gotten up to County Park and flipped back south, we decided to head out to Land Bank to try and catch them. 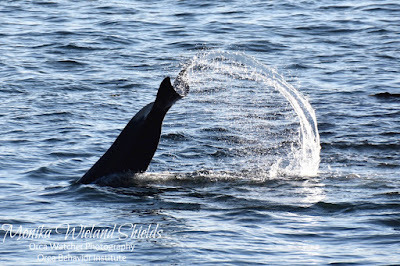 I was very surprised when we got there to instead see the K22s foraging off Land Bank! 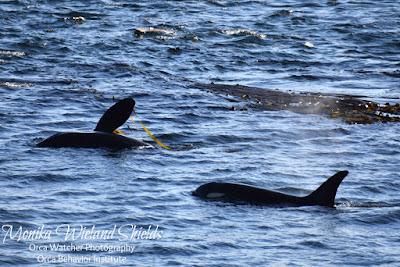 We ended up seeing the K12s and K13s head back south, with many more fins and blows way offshore in the middle of Haro Strait, so it looked like the rest of J-Pod and K-Pod had snuck back in undetected! 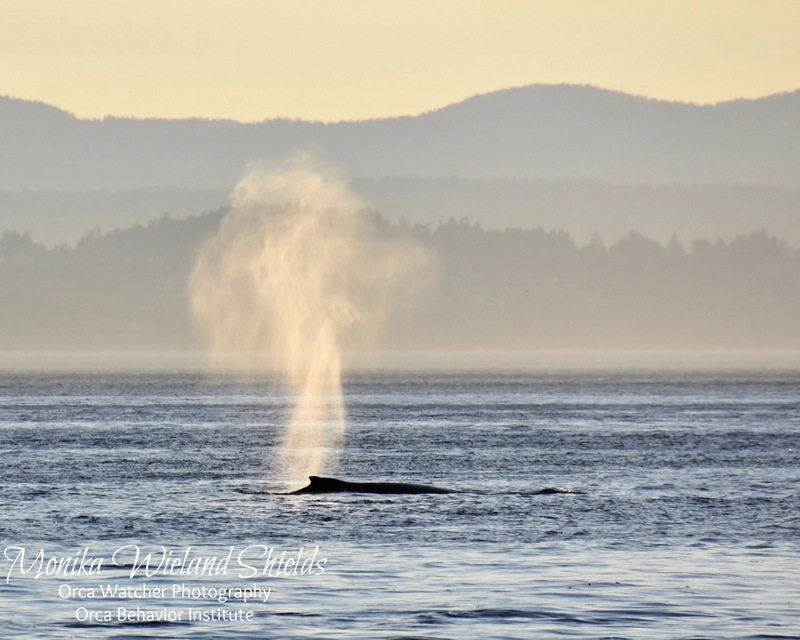 Right as the trailing orcas were heading south, we were surprised by a humpback whale heading north! 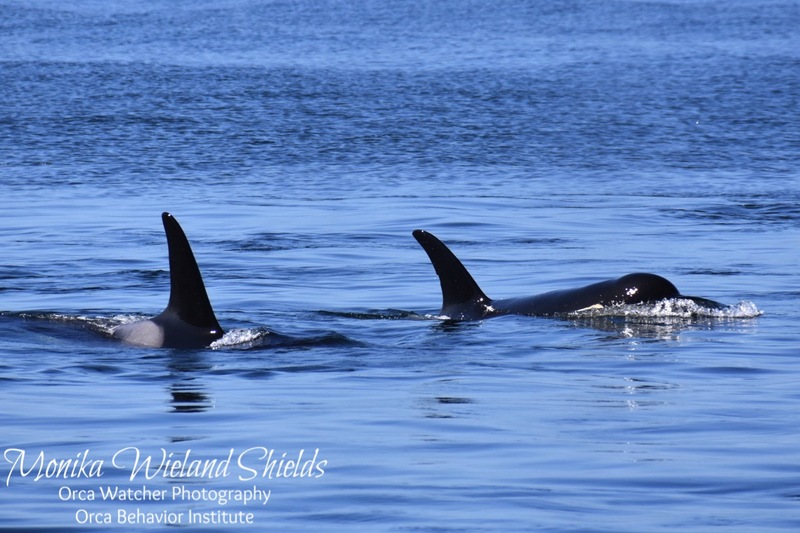 It sure has been great having Js and Ks around daily over the last week; we just hope they're finding enough salmon to keep sticking around!